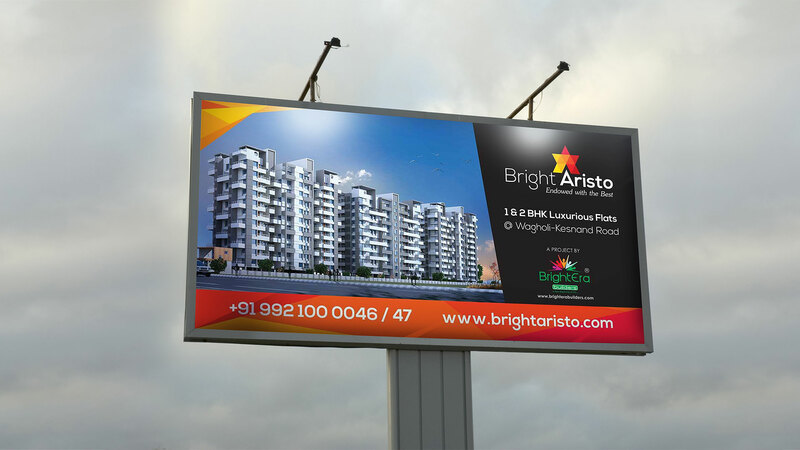 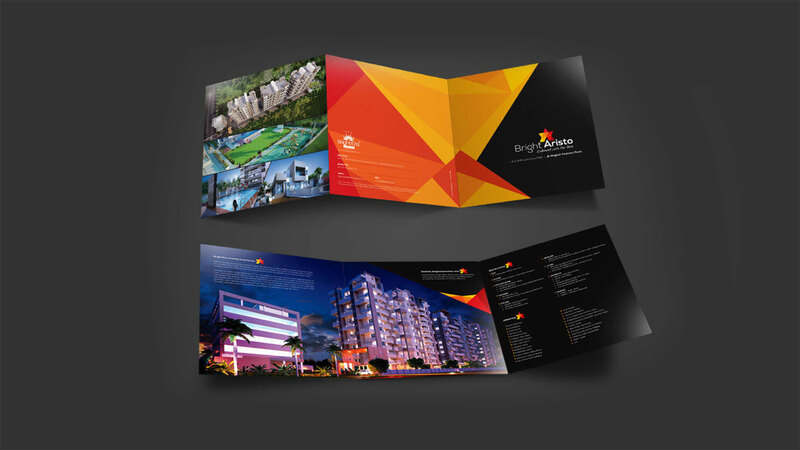 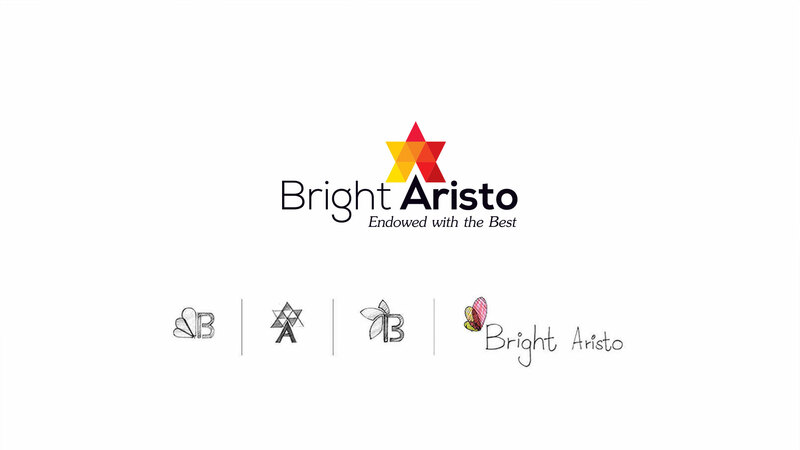 Vibrancy in hues and colours with prominent logo announced Bright Aristo's brand identity. 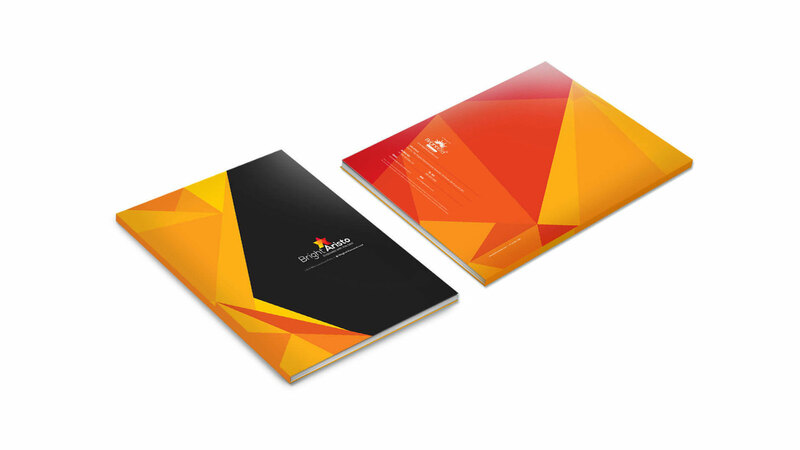 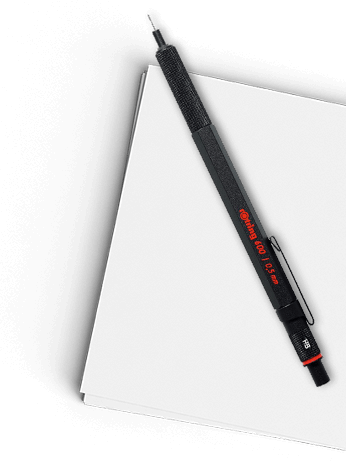 Its conception from pencil & paper to final avatar of star made of triangles complemented its luxurious status. 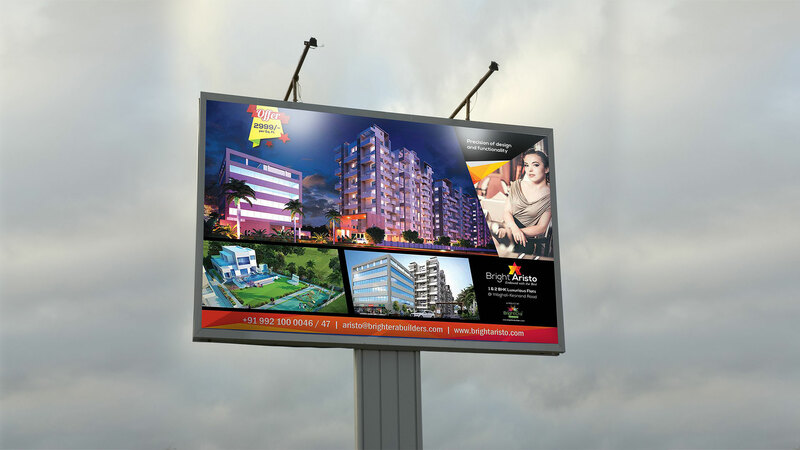 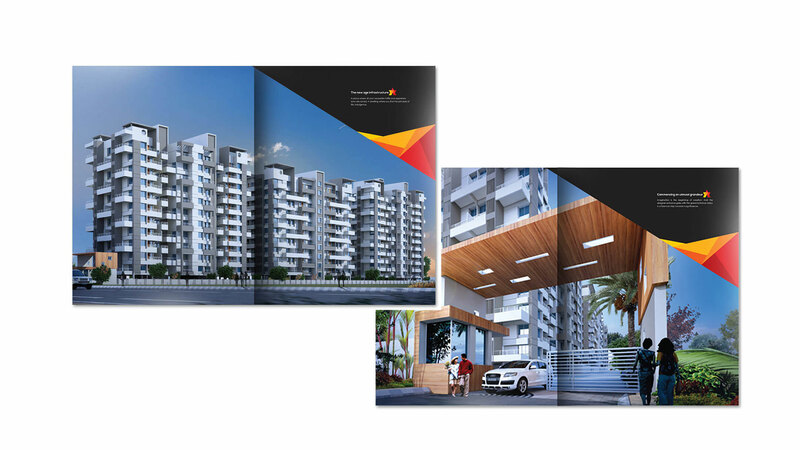 A 1 & 2 BHK project with luxurious flats, its entire design and communication was well received.